Aaron Dillon; Dan McKenna, Hugh Douglas, Sean Heaney, Kevin Lynch; John Sullivan, Paul O'Connor (Daniel Kelly 77); Ronan Coughlan, Gary McCabe, Cory Galvin (Jake Kelly 62); Aaron Greene. Barry Murphy; Simon Madden, Kevin Toner, Lee Desmond, Ian Bermingham; Owen Garvan, Ryan Brennan; Conan Byrne, Graham Kelly, Dean Clarke; Christy Fagan (Jake Keegan 51). 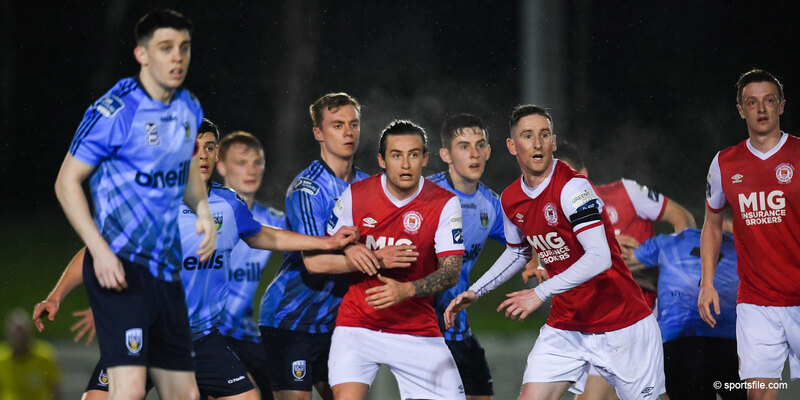 Stalwarts Conan Byrne and Christy Fagan found the net early on to get St Patrick's Athletic's season up and running with a first win of the campaign, as they had just a little too much for Bray Wanderers in their SSE Airtricity League Premier Division clash at a bitterly cold Carlisle Grounds. Gary McCabe pulled a goal back for Bray mid-way through the first half, but St Pat's were generally in control throughout to run out deserved winners. 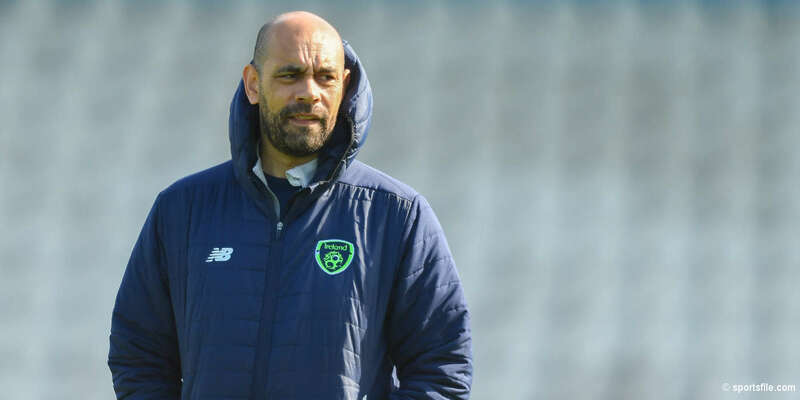 While Bray were unchanged from their merited draw at Dundalk last week, St Patrick's made just the one switch from their home defeat to champions Cork City, with star striker Fagan returning from illness to replace Ian Turner. Amid reports that wages hadn't been lodged in some players' bank accounts when due yesterday, Bray's night on the pitch got off to the worst possible start as they were a goal down inside 70 seconds. A foul on Fagan some 40 yards from goal didn't look to pose too much of a treat to the Wanderers' defence. St Pat's midfielder Owen Garvan took the free kick quickly, picking out Byrne down the right flank. And though winger Byrne appeared to mis-kick his lobbed cross, the ball dipped over keeper Aaron Dillon and into the net at the far post. Byrne was close again 10 minutes later when his shot was deflected out for St Pat's first corner of the match. It then got worse for a disjointed Bray a minute after that as they found themselves further behind. Dean Clarke ran half the length of the pitch down the left flank before his cross was drilled low to the net by Fagan from close range. Bray finally got a foothold in the game with a well-worked goal on 20 minutes. The guile and awareness of Aaron Greene set up skipper McCabe, who blasted to the roof of the net. Back at the other end, Dillon prevented St Pat's from restoring their two-goal lead on the half hour. Garvan's deep corner picked out Lee Desmond unmarked at the back post. The central defender's low shot was saved by the feet of Dillon with Fagan's follow-up blocked before Bray scrambled the ball clear. The pressure remained on the beleaguered home defence, with ex-Wanderer Graham Kelly heading wide from Byrne's cross. Dillon was then tested again on 35 minutes, getting down smartly to save a shot on the turn from Fagan after Kelly worked the opening on the edge of the area. 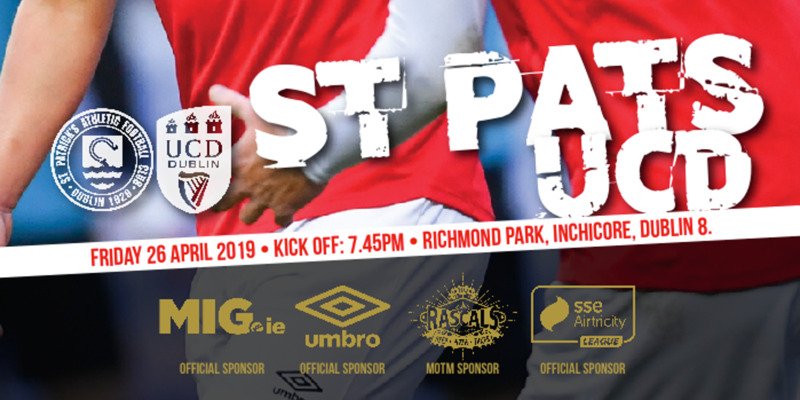 But Bray remained a threat at the other end and were close to equalising on 41 minutes when Desmond blocked a shot from Ronan Coughlan on the line before St Pat's got the ball clear. A slow burner of a second half never caught fire with precious little goalmouth action. St Pat's had a penalty shout waved away when Kevin Lynch appeared to send Byrne tumbling in a tussle for possession. The Bray left-back then got forward well on 75 minutes to whip over a super cross which no team-mate could get on the end of. Four minutes later Byrne had a half-chance for St Pat's, but Lynch did enough to put him off as the weak shot trickled through to Dillon. The hard working St Pat's winger wasn't too far off target on 85 minutes when cleverly making space to volley narrowly wide.